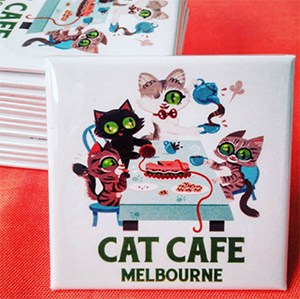 Melbourne, Make Badge’s hometown, is a city famous for it’s coffee, it’s shopping, the sports mad populace and the unpredictable weather. We think these factors are a perfect atmosphere in which to create custom made promotional products. You can have your custom made badges, magnets or zipper pulls delivered the next business day with Express Post, or within the week with Parcel Post. Please note that delivery times are on top of our production time of up to 4 working days.